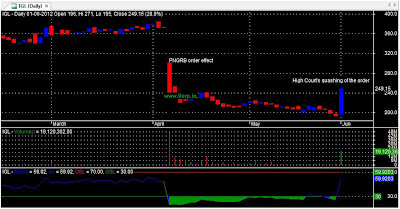 IGL(Indraprasth Gas Limited) shares soared up around 29 % on Delhi high court's order which rejected the PNGRB's (Petroleum & Natural Gas Regulatory Board) decision which had lowered the IGL's tariffs by around 60 % that too with the retrospective effect from April 2008 and this would have been resulted in an outgo of Rs. 1600 crore. Though, it is almost sure that PNGRB shall challenge this verdict in the Supreme Court still IGL and other natural gas company stocks too soared. 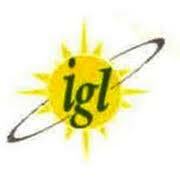 IGL shares had fallen around 39 % on April 10,2012 on PNGRBs order.